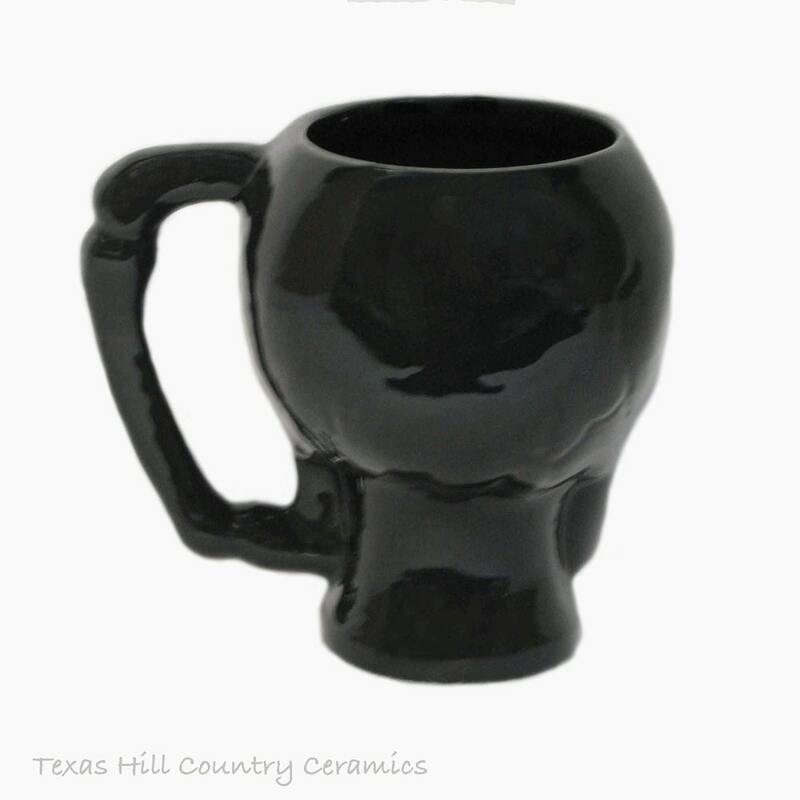 This ceramic skull cup or mug is finished in a shiny black glaze and ideal for coffee, tea or any hot or cold beverage. 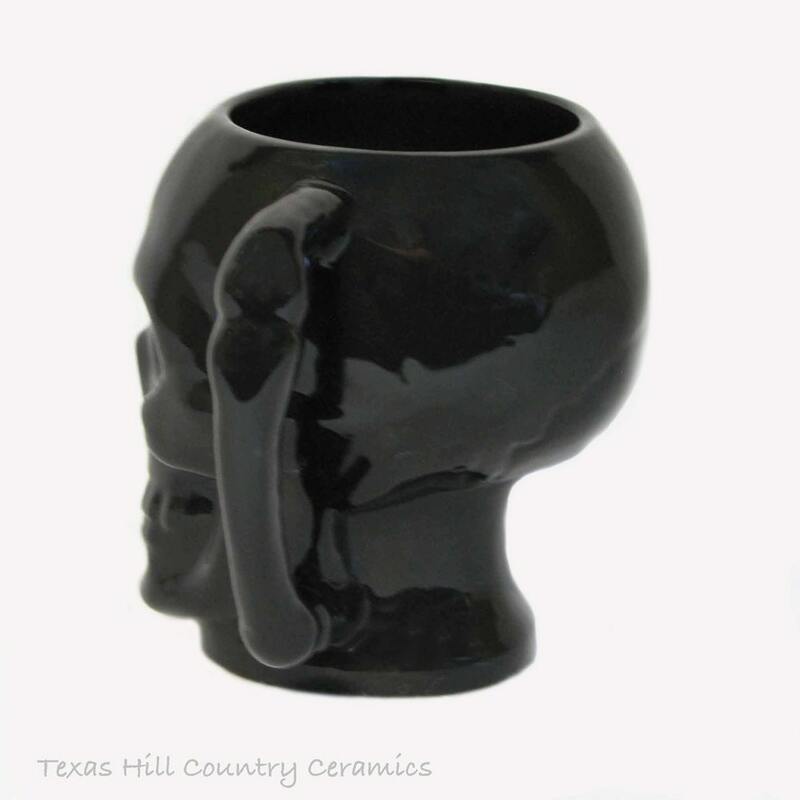 This ceramic skull mug or cup has a bone style handle. This black skull mug is a new addition to my collection of skulls I make. This skull is made to be used, the inside is also glazed in food safe black glaze giving it a totally macabre or gruesome look. 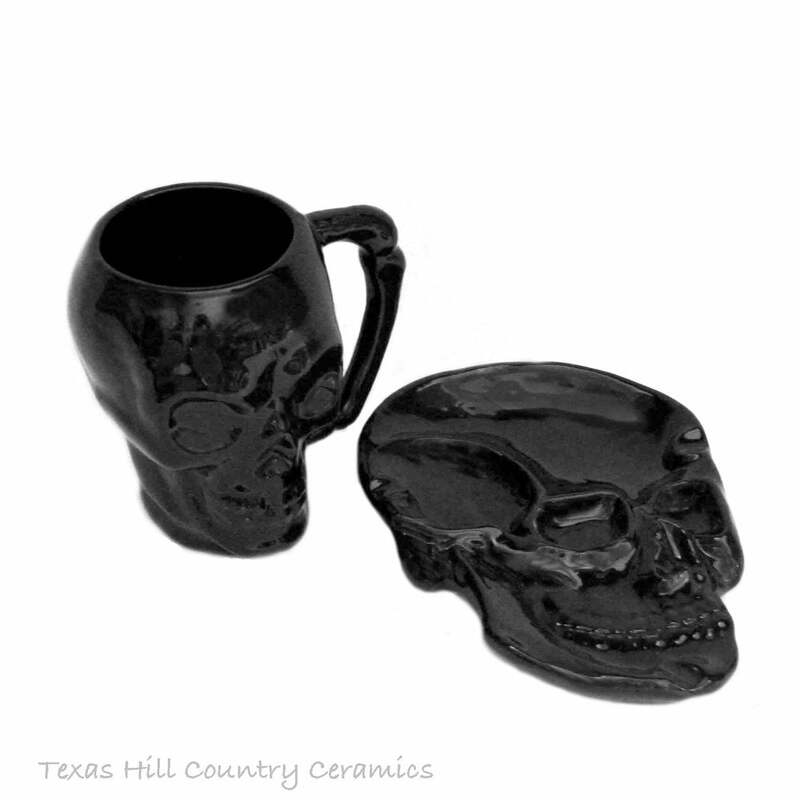 This skull cup or mug is made with ceramic slip and a ceramic mold for uniformity. Each piece is kiln fired, each piece is hand painted with non-toxic glaze that does not contain lead. This skull cup is made in its entirety in my shop located in central Texas. The handle of this mug is cast solid too, this helps you to keep the mug or cup bacteria free - hollow handles in a cup should be avoided for health reasons. The black skull mug is dishwasher safe and food safe. 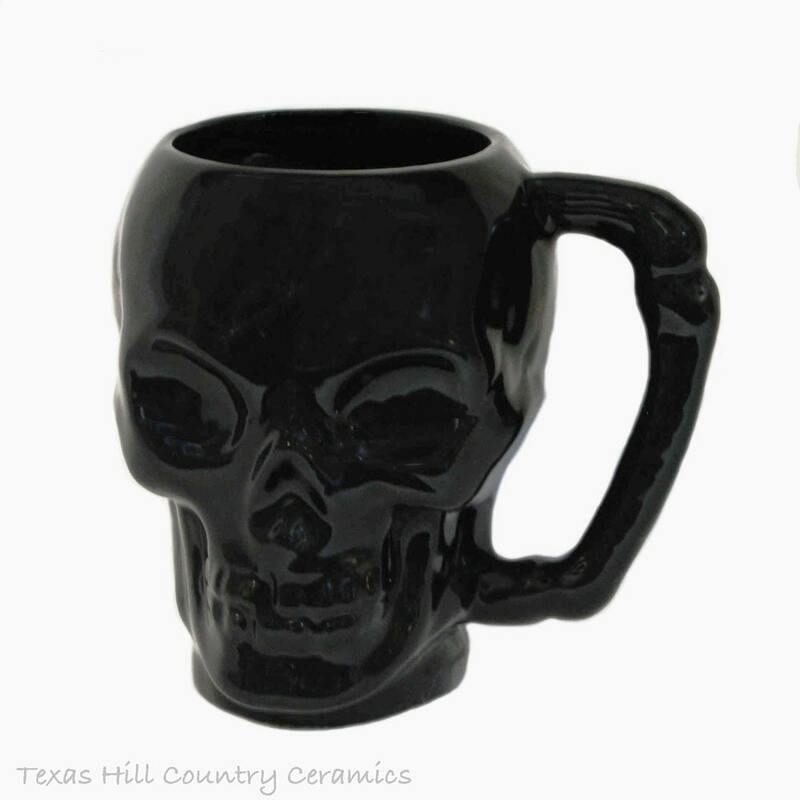 Each skull is glazed with a glossy black glaze that is food safe and dishwasher safe. Microwave use is not recommended since prolonged heating in a microwave oven over time may cause thermal shock which may craze the glaze. This skull mug can be paired with the skull tea bag holder or snack plate for a set for a gift or to include in a gift basket. Coordinating skull items are available. Please keep in mind each one is hand made to order. Shipped very securely. Exactly what we wanted. Thanks!